The shocking footage aired this week of juveniles at the brutal hands of the Northern Territory's youth detention system has prompted a royal commission charged with examining the cause of the NT's systematic problems, and to reveal why officials did precious little to identify and correct them. Neos Kosmos talks to two Greek Australians with a close connection to the story – Andrew Jackomos, Victoria’s tireless campaigner for Indigenous youngsters at risk, and former NT Labor frontbencher Kon Vatskalis – the Territory’s Minister for Children and Families between 2009 and 2012. Andrew Jackomos was in demand this week. 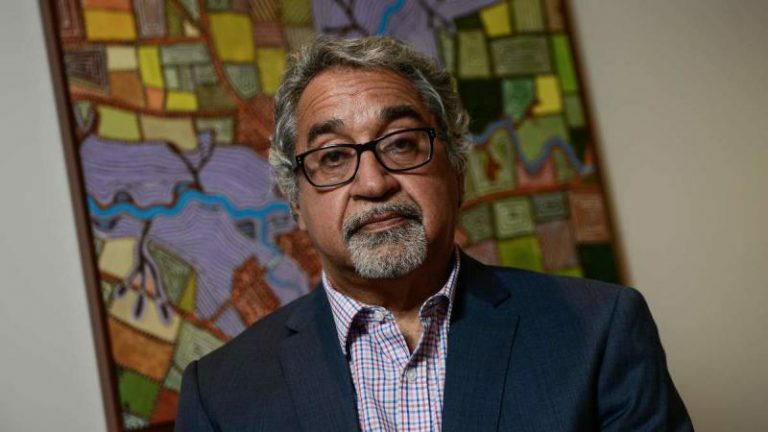 With the Australian media seeking expert reaction to the ABC’s shocking Four Corners report, there are few analysts as impassioned as Jackomos – Victoria’s Commissioner for Aboriginal Children and Young People, or for that matter, so knowledgeable on the perceived inadequacies, of not just Victoria’s, but the nation’s youth justice policies. Jackomos pulled no punches in his reaction to the appalling clips unearthed by the ABC, or the culpability of an entire system that he sees, beyond any state or territory’s responsibilities, is often gravely misdirected. ‘What we need are therapeutic centres, not punitive centres.’ Andrew Jackomos, Victoria’s Commissioner for Aboriginal Children and Young People. Speaking to Neos Kosmos, the commissioner’s anger and frustration was plain to hear. “I was horrified at the level of torture these children were suffering at the hands of employees of the NT Government,” says Jackomos, who fears the behaviour and attitudes to young detainees shown at the soon to be closed Don Dale Correction Centre go way beyond the Territory’s borders. Jackomos believes that only a royal commission – which takes Don Dale as its focus but widens its scope to look at the national situation, has a chance of creating real change in a broken and outdated system – where brutalisation and punishment is the driving force. With young Aboriginal Australians disproportionately represented in Australia’s correctional centres, Jackomos says the problems seen at Don Dale – a situation abetted by a Territory government keen to run on an aggressive ‘law and order’ ticket – go wider, and relate to the relationship Australia has with its Indigenous peoples. What’s needed, says the commissioner of Kastelorizon and Koori descent, is a root and branch revision of juvenile detention and corrections practices across the country. “The Federal Government has to take ownership of this,” says Jackomos. “You can’t incarcerate problems that arise from social issues. Locking traumatised kids up and torturing them isn’t going to improve their value to society. “The treatment that we saw at Don Dale only deepens their trauma. What we need are therapeutic centres, not punitive centres. “Do we think that by incarcerating the children, with behaviour to them like this by government employees, torturing them… who really thinks this is going to have a benefit? With the beleaguered NT chief minister Adam Giles now facing almost certain defeat at next month’s Territory election, Jackomos has no sympathy for his plight, or that of his CLP ministers. “I don’t believe they didn’t know what was going on. They legislated for changes that made this possible. As the terms of the royal commission were announced on Thursday, Prime Minister Malcolm Turnbull said it was important to recognise that 95 per cent of juvenile detainees in the Northern Territory were Aboriginal or Torres Strait Islander people. The PM added that Australia “had a fundamental responsibility to protect [its] children”. The royal commission, to be led by NT Supreme Court chief justice Brian Martin, will examine the “failings in the child protection and youth detention systems administered by the government of the Northern Territory” over a decade. 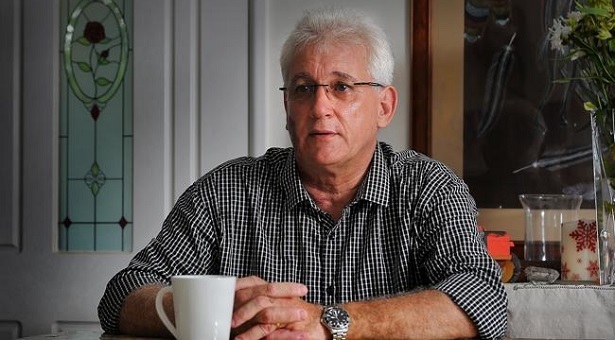 As the NT Government’s Minister for Children and Families between 2009 and 2012, Kon Vatskalis has an intimate knowledge of successive governments’ actions in managing its infamous youth detention program. As a minister, Mr Vatskalis was part of the last NT Labor government that, aware of grave problems in the Territory’s youth justice system, both during and before its administration – commissioned the 2011 review of the system chaired by former Country Liberal Party (CLP) leader Jodeen Carney. “There’s no doubt the CLP created this environment – where NT Corrections staff – who should have had a duty of care – felt they could brutalise,” Kon Vatskalis. Vatskalis believes that if the review’s recommendations had been implemented (they weren’t because a CLP government was returned in 2012), the abuses revealed on national television this week would not have occurred. “Ms Carney’s recommendations, including an appeal to heed the needs of juvenile detainees more, rather than simply incarcerating them, and to improve training for NT employees in the system, along with a host of other measures, were never taken into consideration,” Vatskalis says. In 2014 after an incident in which six youngsters were gassed in detention in Darwin – in what was referred to as a “riot” (a term for the disturbance which later proved to be incorrect), the Giles Government introduced legislation that effectively gave prison guards immunity from prosecution. The same year, at the instigation of the government, former prison boss Michael Vita in his review of the youth detention system, found the government lacking in a number of key areas. Vita identified a lack of understanding in the government’s youth detention system of adolescent behaviour – often caused by a history of trauma, symptoms of foetal alcohol syndrome, and behaviour associated with Attention Deficit Hyperactivity Disorder – along with a host of other mental health issues. Vita also found “an ­unhealthy over-reliance on inexperienced casual and temporary staff on a shift-by-shift basis, supervising young detainees with difficult and challenging behavioural ­problems”, and “grossly inadequate” training for staff across the board, and “non-existent, outdated and inadequate” procedures for managing adolescents. The previous Labor government was also implicated. The Vita review highlighted 13 serious incidents under Labor between December 2009 and August 2012, and another 20 incidents between 2012 and 2014 when the CLP was in power. The incidents included allegations of assaults on detainees by staff and vice versa, “riotous behaviour”, and escapes. Vatskalis says after coming into office, the CLP government’s actions made things a lot worse. “There’s no doubt they created this environment – where NT Corrections staff – who should have had a duty of care – felt they could brutalise,” he says. He is most scathing in his contempt for former CLP Corrections Minister – and still NT Attorney-General – John Elferink, the architect of the 2014 legislation that gave NT Corrections added powers in dealing with juvenile detainees. That legislation, says Vatskalis was crucial in relation to how Corrections officers were given free reign to restrain detainees, use tear gas, and behave with excessive force. In the aftermath of this week’s revelations, the notion that Elferink and other ministers weren’t aware and weren’t told of what was going on is unbelievable, says the former Labor minister. Not one to mince his words, Vatskalis says, “the CLP must pay for the torture and their lies”. It looks highly likely they will. With the NT election taking place on Saturday 27 August, Territorians will decide between the discredited Adam Giles and Labor’s Michael Gunner as the next Chief Minister.